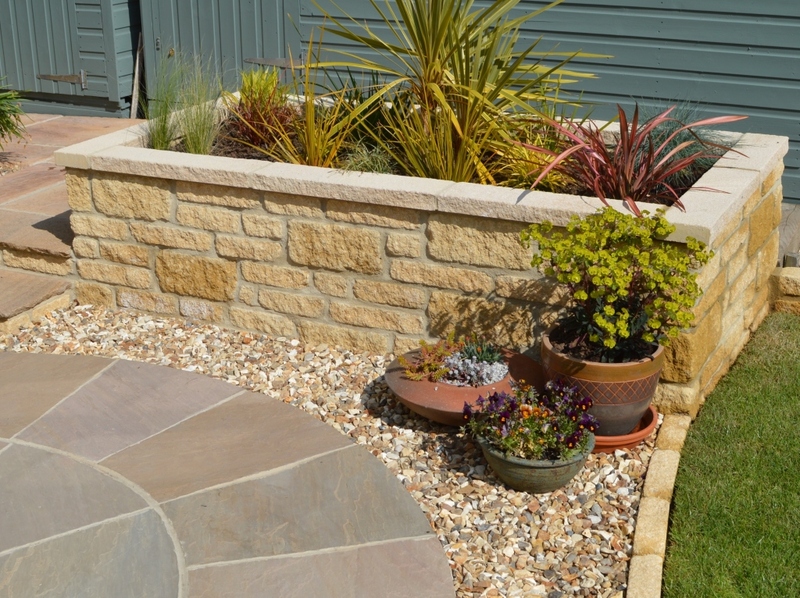 Our Natural Indian Stone in Camel provides a masterpiece to any garden size or shape. The Camel colour has a range of tonal variations which gives character to the circle. The circle is well complemented with the Buford Tumbled Walling in Golden Buff and finished off with 20-6mm Flint Gravel around the circle.